Hashtags have been a prominent part of social media activities. This time, YouTube has come up showing hashtags on videos so that users can search for and find other videos on the similar topics. Right now, hashtags are seen on videos only in a web browser and the Android app. You won’t find them in the iOS app. 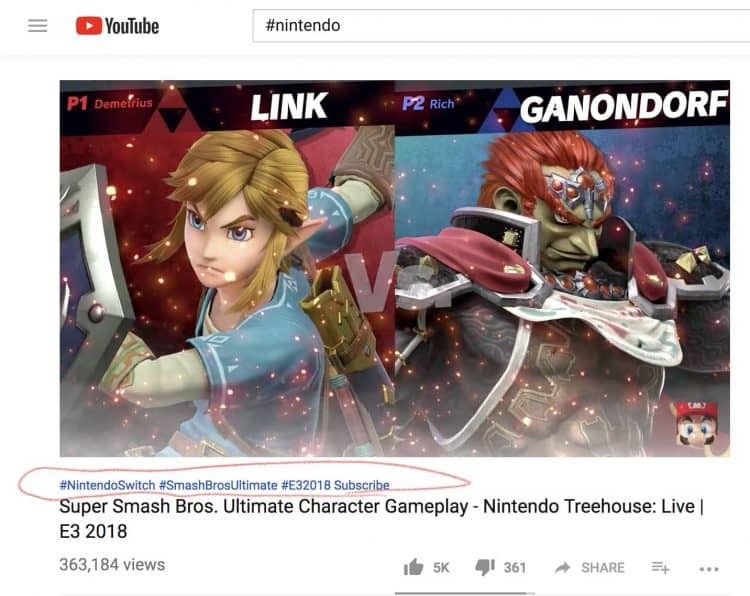 One can find the hashtags in blue text appearing above the title of the video. Click on a hashtag to proceed for a YouTube search for other videos having a similar hashtag. Video with the similar hashtag can be found manually, you just need to type a hashtag in YouTube search box. Remember, only the first three hashtags will be seen above the title of the video. One can directly add hashtags within the video title. Creators or marketers should know the hashtag use policies of YouTube. This is to be done in order to not promote harassment and hate speech or misleading content. There are few other hashtag policies to limit over-tagging and that is 15 or more hashtags on a single video. YouTube says violation of hashtag use policies may lead to hashtag ignorance or video would be removed from the search results or the platform. Hashtag appearance is seen past several days and will automatically be added to earlier uploaded videos having hashtags in their description.